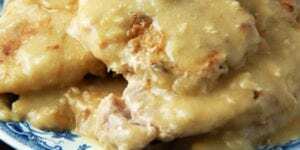 Crock Pot Cherry Spoon Cake - Recipes That Crock! 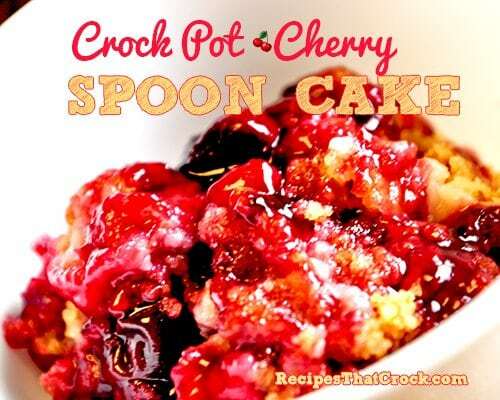 This Crock Pot Cherry Spoon Cake Recipe couldn’t be easier! Just toss three simple ingredients in a slow cooker before dinner and when everyone is done eating, you will have a yummy dessert just begging for a scoop of your favorite ice cream! I found the inspiration for this recipe in Gooseberry Patch’s new Hometown Harvest Cookbook. 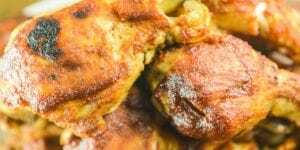 Truth be told, when I saw the original recipe entitled Minister’s Delight, it totally reminded me a lot of Papaw’s Campfire Cobbler so I knew the family would love it! Papaw’s Campfire Cobbler has quite the reputation around the horse riding campgrounds around these parts. 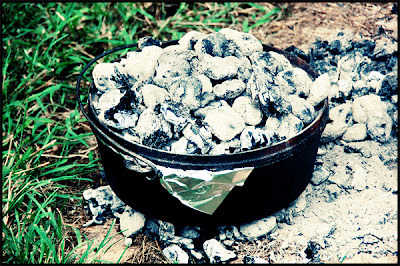 He makes his own “slow cooker” with his cast iron dutch oven and some fresh coals from the fire. 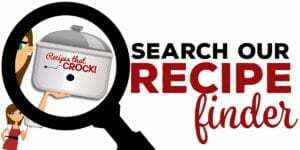 Just like Papaw’s Campfire Cobbler, this recipe for Crock Pot Cherry Spoon Cake calls for three simple ingredients: Your favorite Pie Filling, a Cake Mix and a stick of Butter. Note: These recipes typically call for Yellow Cake Mix, but I am not a yellow cake mix fan… so almost always I opt for White Cake Mix. What results is a fantastic dessert that you can spoon out to friends and family. 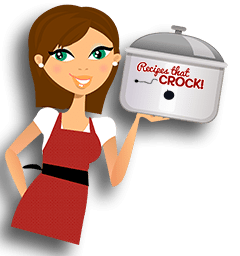 You start by spraying the inside of your crock with cooking spray. Then you add your pie filling. Next you combine the butter with the box of cake mix (unprepared) to form a crumble topping. Sprinkle the crumble on top and cook on low for 2-3 hours. The original recipe gives you the option of adding pineapple to the cherry filling and then adding nuts on top of the cake mix crumble, but Aunt Lou was visiting and she made a face when I wanted to add the pineapple… so I went with the basic recipe. Now this recipe calls for one can of pie filling but Papaw’s calls for two, so I will leave that up to you and yours! 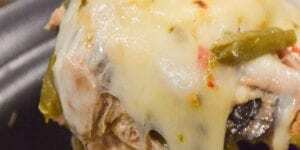 Before long this recipe is going to have more options than a new car! It really can go just about any direction. 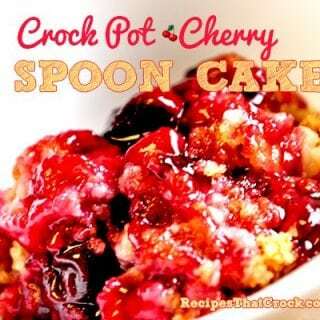 Easy Crock Pot Cherry Spoon Cake Recipe that is perfect with a scoop of ice cream. Spray inside of your crock with cooking spray. Add pie filling and optional pineapple. Mix butter and cake mix into a crumble. Top Pie filling layer with crumble and top with nuts if desired. 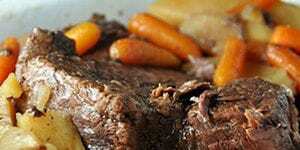 Layer two paper towels under slow cooker lid and cook on low for 2-3 hours until cooked through. 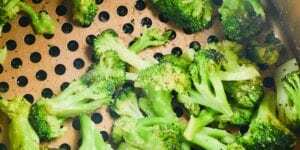 Edited to add: We recently found out the inspiration for this recipe from Hometown Harvest Cookbook was submitted by a fellow blogger! Check out Marsha Joy Baker’s blog The Better Baker for more yummy recipes like this Dreamsicle Salad or these Bacon Cheddar Deviled Eggs or this 4 ingredient Blackberry Cream Pie.